Pullman, WA (July 13, 2018) – Gigi Stoll of Tigard, Ore. defeated Alivia Brown of Gig Harbor, Wash. 2&1 to win the 117th Pacific Northwest Women’s Amateur Championship; while Amanda Jacobs of Portland, Ore. defeated Gretchen Johnson, also of Portland, 4&2 to win the 17th Pacific Northwest Women’s Mid-Amateur. 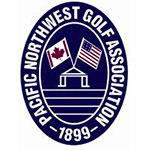 Both championships were held concurrently this week at Palouse Ridge Golf Club in Pullman, Wash. and conducted by the Pacific Northwest Golf Association (PNGA). Stoll, the No. 2 seed in the bracket, never trailed in her match with Brown, and had a 4-up lead after the morning round in their 36-hole match. Brown did put up a fight in the afternoon round, but couldn’t get closer than the 2-hole deficit. “It was a tough match with Alivia, and I had a really great time playing today,” Stoll said after the match. Stoll won the first hole of the afternoon round to go 5-up on the match, and took it home for the win. Stoll will be a senior at the University of Arizona, and recently led Arizona’s women’s golf team to the NCAA D-I National Title. Stoll made it to the quarterfinals of last year’s Women’s Amateur, and has been named PNGA Women’s Player of the Year three times (2014, 2015, 2017). She has won the Oregon Women’s Amateur three times (2014, 2015, 2017) and the Oregon Junior Amateur three times (2011, 2013, 2014). Brown was the No. 1 seed in the championship’s bracket. She finished runner-up in the 2015 PNGA Women’s Amateur, won the 2015 Washington State Women’s Amateur, was named the 2015 WSGA Women’s Player of the Year, and is a recent graduate of Washington State University where she played four years on the women’s golf team. She was playing this championship on her home course of Palouse Ridge, home of the WSU men’s and women’s golf teams. For Jacobs, this is her third PNGA Women’s Mid-Amateur title, having previously won in 2014 and 2016. In last year’s championship, she made it to the semifinals. Jacobs and Johnson are friends, and in last year’s championship match, Jacobs, after being ousted in the semis, caddied for Johnson in the final match. Jacobs was named the PNGA Women’s Mid-Amateur Player of the Year in 2015, 2016 and 2017. This is the second year in a row that Johnson has made it to the final match, only to finish runner-up. She lost last year’s final match, 3&2, to Christina Proteau of Port Alberni, B.C.